Modeled in Zbrush, retopo’d in Topogun, textures in 3DCoat. The above style done in Houdini and Blender. 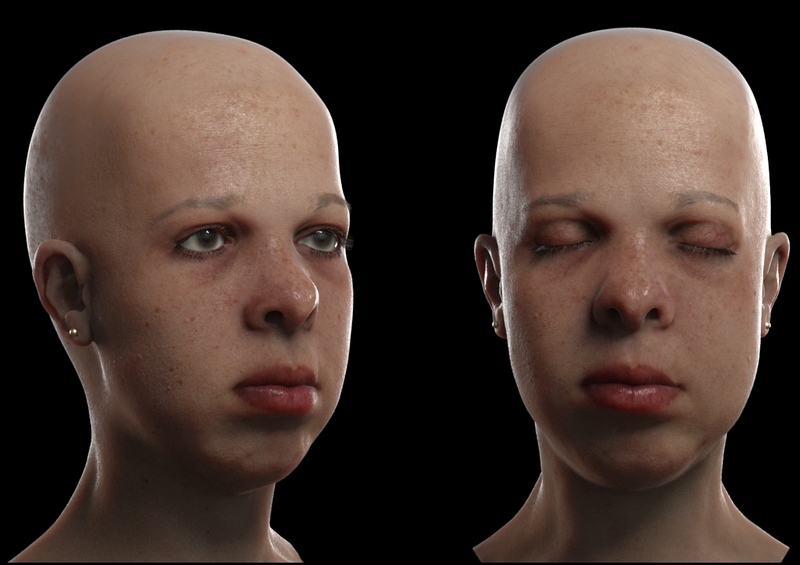 Shading in Houdini/Mantra, along with eyes (procedural). Working on two costumes and more hair styles. Soon to be featured in a tutorial covering Houdini 15.5 hair features. Using the new SSS model in Houdini 15. The eye is completely procedural, both geometry and texture generation. Here is an early version of it. 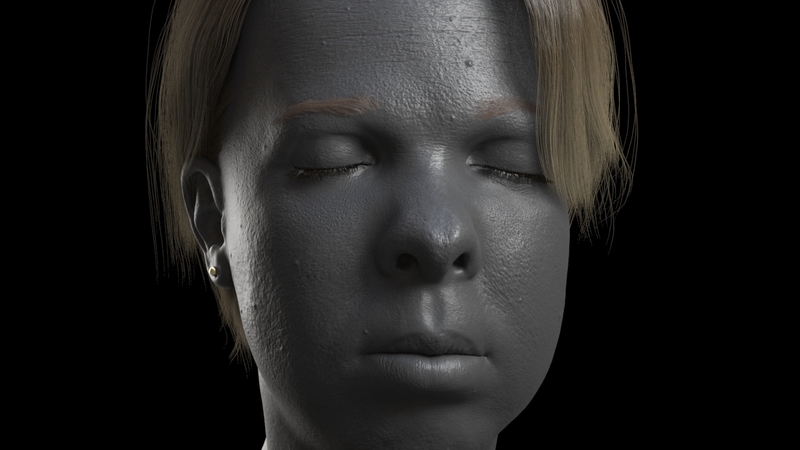 The body has colour, displacement, reflection, glossy, attenuation (for SSS) maps spread across 6 UV Tiles at 4K. 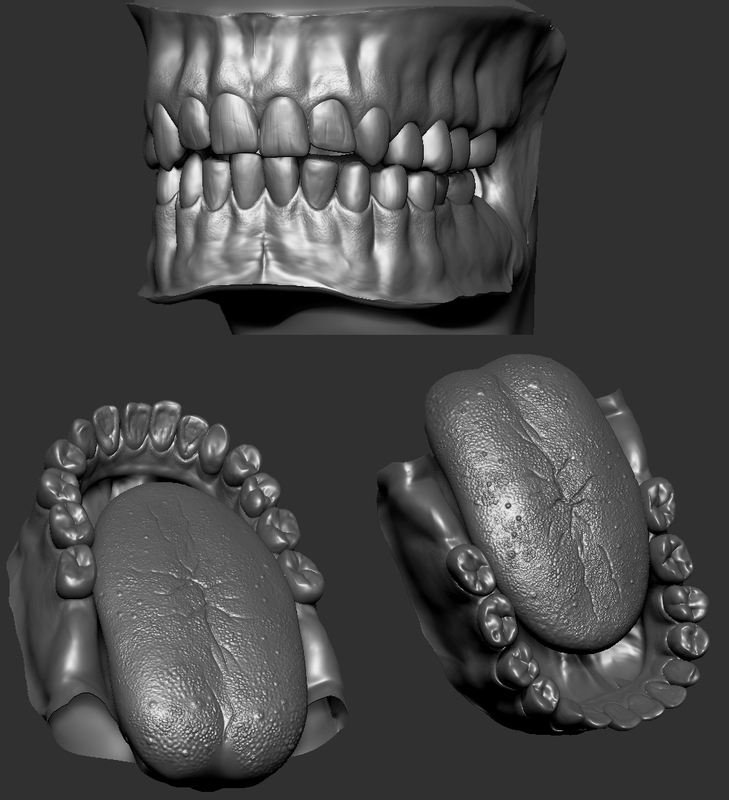 All of the displacement was hand sculpted in Zbrush. 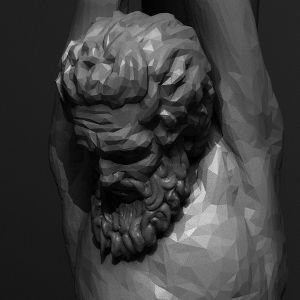 To allow for such detail the head and body were split into two object and then recombined in Houdini. Hair obviously plays an important part in making her look feminine. Check out a bunch of styles i did for her here. 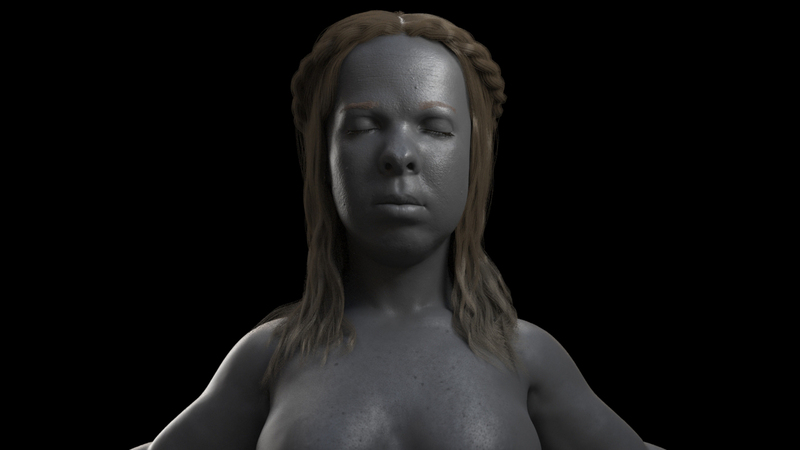 Here is an old shot using a different shader with the separate passes.And i have done the teeth but i have yet to rig her. Wireframes & breakdown are HERE.